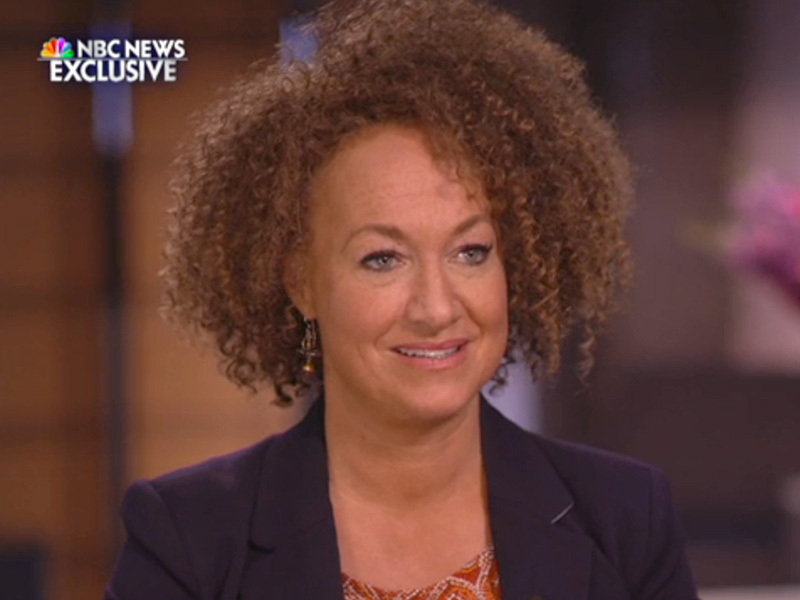 Dolezal, if you’re from Deep Space, is the lily white woman who dared to “identify” as a black woman. The “Racial Industrial Complex” (a Jack Kerwick coinage) is populated with frauds, shysters, imposters, phonies, morons; black, white and 50 shades of gray. Ms. Dolezal had been posing as all of these, teaching mambo-jumbo studies at the bush college of Eastern Washington University. Our American Idiocracy confers the respect and the authority of a pedagogue on many like her, allowing them to spread the disease to college kids and beyond. In America, black is beautiful. To be black is to be more righteous, nobler; carry the heaviest historic baggage—heavier than the Holocaust—and be encouraged to perpetually and publicly pick at those suppurating sores. To be black it to be born with an IOY; it is to be owed apologies, obsequiousness, education, and automatic exculpation for any wrongdoing. Why can’t Rachel have some of that? Was not Ms. Dolezal displaced for real in her parents’ affections? Rachel’s story should begin with parents Larry and Ruthanne Dolezal, who adopted four children, “three of whom were African-American while the other was from Haiti.” Does this fashionable adoption not send a message to a vulnerable girl that she and her biological brother are too pale for their pious parents? Spokesperson for the quasi-black Brady Bunch is Ezra Dolezal. Ezra grew up in the diversity worshiping, evangelical, Dolezal household. He now lectures his estranged sister about her shenanigans in black-face. The Chutzpah! The once anemic-looking, fair-skinned Rachel was raised with a real sense that she was not black enough for her parents. Why do I say “real”? Because, like Angelina Jolie, Larry and Ruthanne Dolezal kept acquiring kids more colorful than their own. Kids are needy creatures. Parenting is a complex endeavor. However great their reservoirs of love, sense of fair play and goodwill—two parents do not have enough of the good stuff to spread among six kids. Mark my words: Brangelina’s beautiful, biological offspring will also one day display signs of childhood racial abuse.